Dollar Drink Night returns to Fluor Field on Thursday, July 12th as the Drive take on the Rome Braves at 7:05 PM. The drink specials begin when the gates open at 6:00 PM. 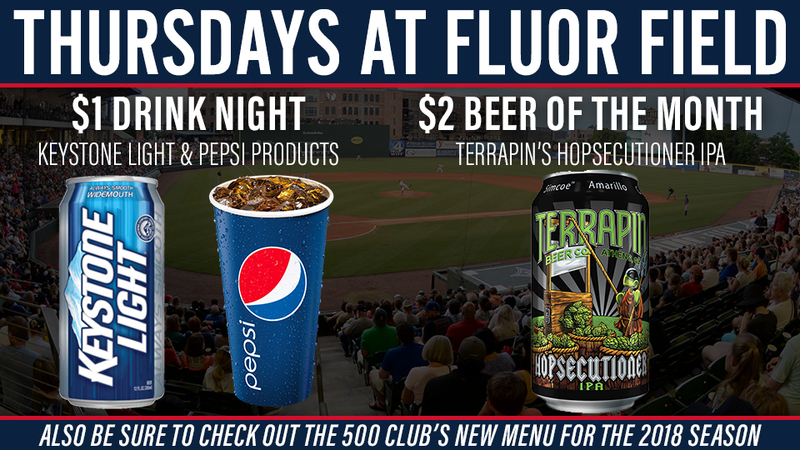 Fans over 21 can head to the 500 Club to enjoy $1 Keystone Light, as well as Terrapin's Hopsecutioner, the July Beer of the Month, for just $2. Fans of all ages can also purchase $1 Pepsi products at all Fluor Field concession stands. Make sure to grab a Carolina Dog, the Carolina Pride Hot Dog of the Month, to go with your Pepsi! 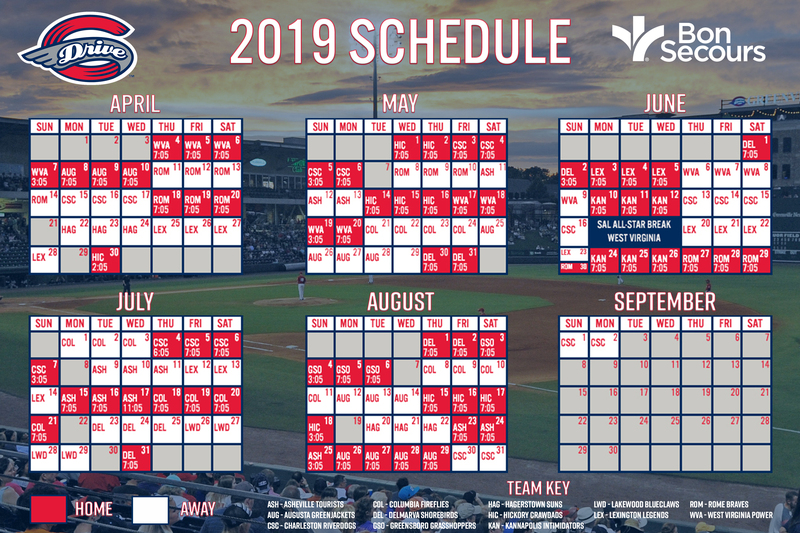 Tickets for Thursday's game are available at the Main Street Box Office, by calling (864) 240-4528 or by CLICKING HERE .